Many folks wonder; "geez, I'm having tacos on a warm southern California day, but what wine do I pair with it", when beer seems like the more viable option. It's a great question and it’s a dilemma I've found myself in many times. 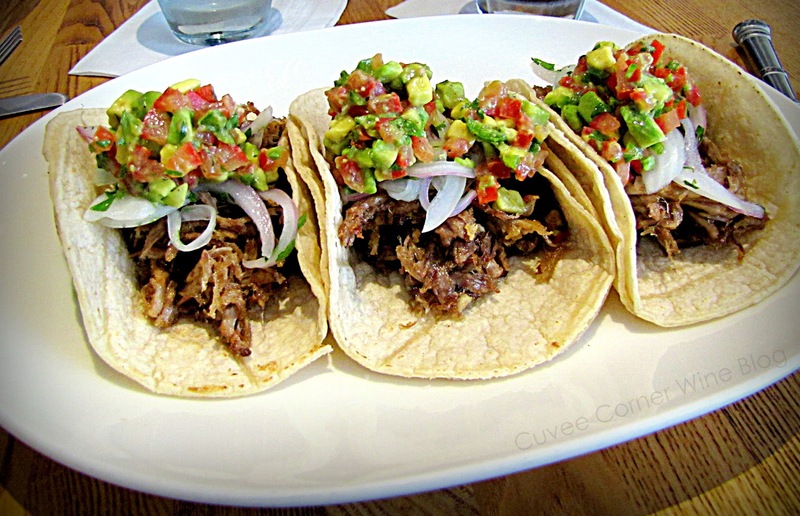 Being from San Diego, a plate of carnitas tacos is one of my main go-to choices. So may I introduce to you what I think is a flat-out fantastic pairing choice with carnitas and a wine I've had before in other settings. In fact it's such a versatile wine; I scored a few more bottles before I left Sonoma back in May, to take back home to San Diego. The Balletto 2011 Rosè of Pinot Noir from Sonoma County was a fantastic pairing with the Carnitas I snacked down earlier this week. The color of this wine resembled a water-colored San Diego sunset, kind-of a light salmon and cotton candy mix. This lively wine comes from a careful touch of skin contact from Pinot Noir; small quantities of free run juice really [no press in sight]. On the nose, plenty of vibrant rose petals, dried strawberry and a kiss of meaty summer peach. The palate bites at ripe strawberries, kisses your mouth with tangy-citrus, wet-stone and lemongrass. I found this wine well balanced, piped with bright acidity. If you’re looking for pairing suggestions, this rich enough to pair up with salmon, yet light enough to handle a plate of fresh mussels, but of course the perfect summer pairing is with this very tasty rosè. I scored this wine 92 points; it sells through the wineries website for $18 and is great value with excellent QPR. Until next time folks, sip long and prosper cheers! A 92-point wine with excellent QPR for a great price of $18? I can say this is a must-try!